When choosing how to cultivate cannabis, many opt for indoor growing. Growing indoors allows for more discretion, as well as total control over the growing conditions. It has also been said that buds grown indoors are more delicately-preserved and aesthetically appealing. However, there are many advantages to outdoor growing if you have the space available. We cannot offer legal advice here, but depending on what jurisdiction you live in, cultivating cannabis could carry serious criminal penalties. 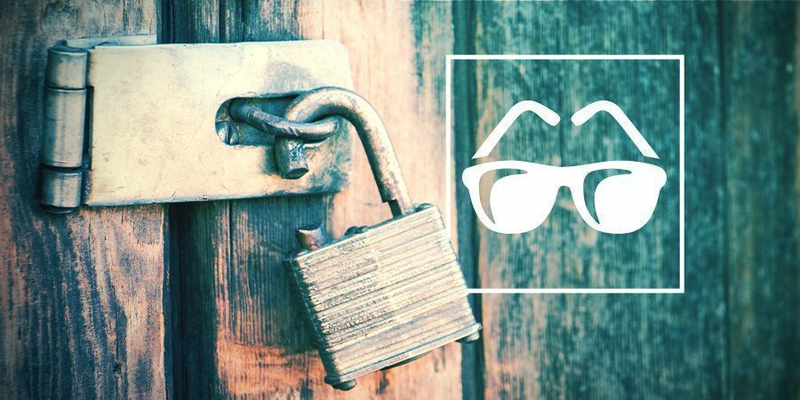 If you're determined to grow cannabis without drawing attention, good thing you found our guide for hiding your outdoor grow. Whether you're guerrilla growing or setting aside farmland, growing outdoors can produce great results. Myths have developed that growing outdoors produces a weaker quality of weed. Indeed, many hastily prepared crops face confined, squishy transport without any curing. But if you're confident you have the space to grow, dry, and cure discreetly, there are many advantages. While the precisely-controlled climate of indoor cultivation produces more dazzling-looking buds, the taste, scent, and potency are still strong in outdoor grows. 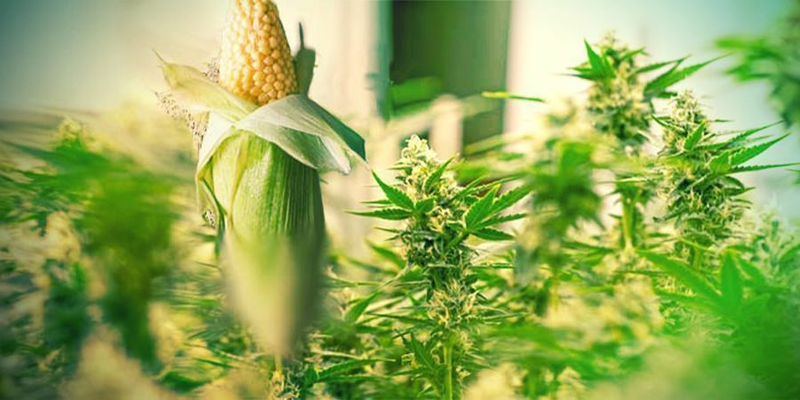 If anything, there are certain conditions where a well-maintained crop can produce a mouth-watering and heavy harvest unlike anything you’ll see indoors. There is, after all, demand these days for more organic food and chemicals. "Organic" can be a loaded term, but the idea is produce products with less human interference. Growing cannabis outside will give it the sun's unadulterated light, which cannot be precisely replicated indoors. That specific wavelength of light is what sustained landrace cannabis strains growing in the wild for millennia. Maybe it’s worth experiencing the effect of such evolutionary lineage. Try growing landrace strains; see how they compare to the booming market of cross-breeds. This exposure to the elements does mean the crop could take some damage from wind, rain, and pests. However, cultivating cannabis in the soil of a well-appointed terroir can produce wonders. A terroir is a region of land with the ideal conditions of soil, climate, and other physical factors for the cultivation of a craft crop. This expression from the wine industry is becoming increasingly relevant in the cannabusiness. A good terroir for cannabis can be described as somewhere hot during the day, warm at night, and low in humidity. The natural world also provides natural predators to protect your plants from pests of all kinds. This is not usually the case in humid indoor environments. Protecting your plants is one big financial cost of indoor cultivation, along with the energy and maintenance required to sustain growth. With outdoor growing, much of the maintenance is provided for free by nature. The sunlight is entirely free. This will be especially helpful if you have a small garden or balcony, rather than farmland. 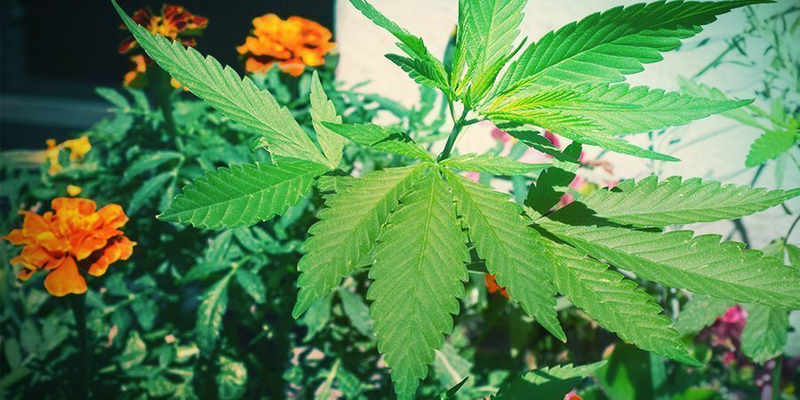 There are even companion plants you can grow inexpensively to help disguise your cannabis crop. More on that subject later! This is even more important for those of you growing with limited space outdoors. You may have neighbours who could see you plants and take issue. Before we get into concealing tips, just make sure you're a good neighbour. Be a friendly, helpful, and considerate person; good behaviour on your part can make neighbours more willing to hear you out and accept your growing. And either way, it's the right way to be. Of course, privacy and discretion are preferable. You have to think of attributes your garden/balcony/growing space has that will hide it from public view. One technique to encourage your plant to grow closer to the ground is low-stress training, or LST. 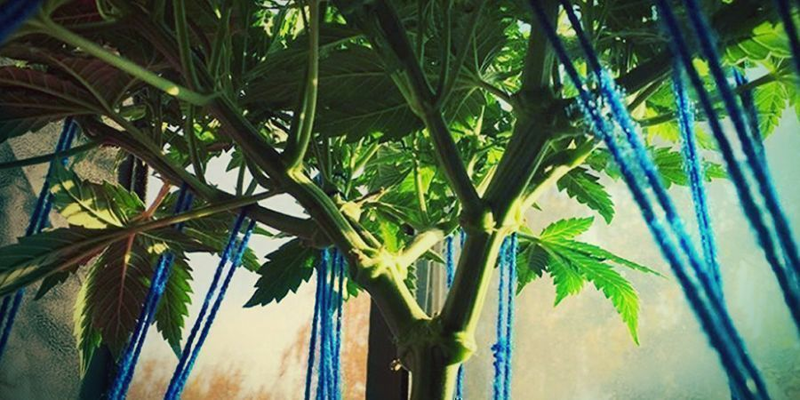 You can bend and tie the stems to increase the potential of your buds and keep the plant from reaching. Responsive, well-hydrated plants can be trained to grow in an arc, closer to the ground. Covert cannabis plants are the smart option for most growers. Whether you grow your marijuana indoors or outdoors, it pays to cultivate quietly. If you wish to grow plants to taller heights, there are often plenty of gardening tools and other things you can use to hide your plants if you’re only growing one or two. For instance, trellises, stacked garden tools, compost, and wood piles all work well. Trellises can be covered with stinging nettle or other flowers to disguise the plant. In fact, you can even plan ahead for future grows by planting large perennials to hide your crop for years to come. 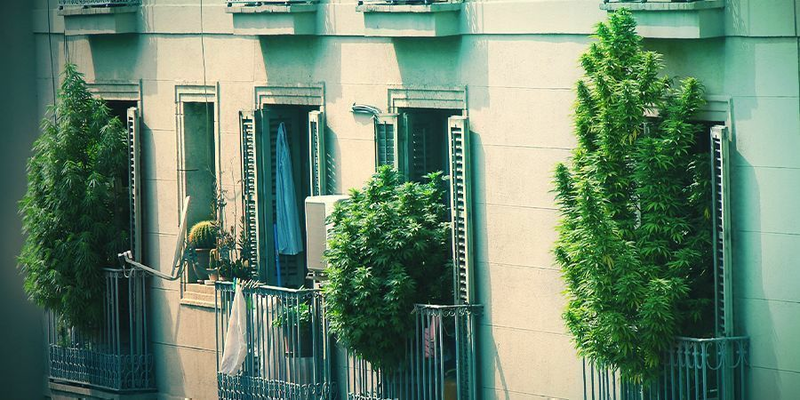 The first and most basic measure that can be taken to help hide cannabis plants is to not plant it where casual onlookers or passers may see or smell it. This means not planting near footpaths, parts of your garden that are on show or near your fence, in a highly populated place, or anywhere that may seem suspicious. Furthermore, it is important to choose the right cannabis strain for your guerrilla growth. If you are growing away from your house, you also have to think about how suspicious you look. Trekking into the forest with a bag of compost under your arm is going to look pretty suspect. Even things like where you park your car when visiting an external site should be thought about. A car on a verge in the middle of nowhere could look odd, but by parking in the carpark with other cars, no one will think any different. There are a number of companion plants you can place near or next to cannabis plants to hide their appearance and reduce their odour. These decoys not only obscure and add to the aesthetic impact of your garden, they also serve important health functions, repelling pests and attracting pollinating bugs toward flowers and away from cannabis. This is your opportunity to apply your horticultural skills to any plants you may find useful. Leaves of peppermint for example, can add camouflage and a subtle hint of mint to your bud. They can also be a crisp, refreshing addition to your food or mojitos. Savoury herbs like dill and basil will enhance many meals, and will also repel spiders, mites, and bugs from your cannabis. More vivid colours could adorn your crop, such as sunflower or lavender. Both flowers look beautiful, repel mice, and perhaps even enhance the aroma. In each case, you are helping to mask cannabis' strong odour, so choose your companion plant wisely. 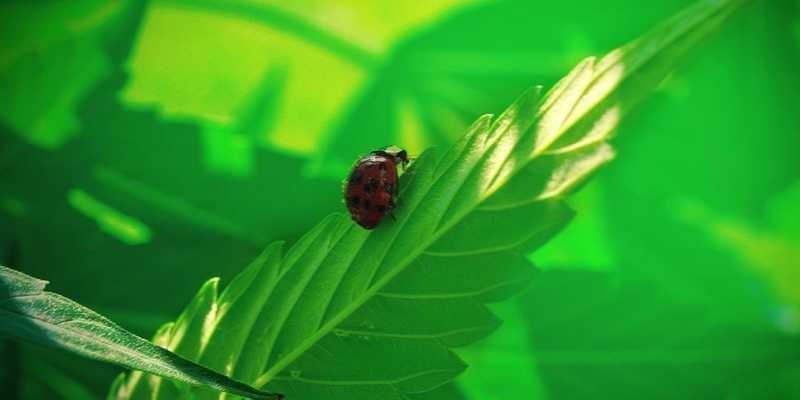 The best way to insure a healthy cannabis crop is to also grow companion plants around them, that encourage their cultivation through various benefits. If you are having trouble deciding which plant to grow, we have just the deal for you. The Stealth Edition of the Buddy Mix Pack has been designed for plants being grown under secretive conditions. Five plants have been carefully selected for their ability to conceal cannabis' aroma and appearance. Your growth-boosting, insect-repellent samples should allow you to try different things. See what works for you. It could be lavender, sunflower, or peppermint; it could be lemon balm or marigold. Get 30% off our sample pack and you can try them all! Stay safe and have a happy harvest. 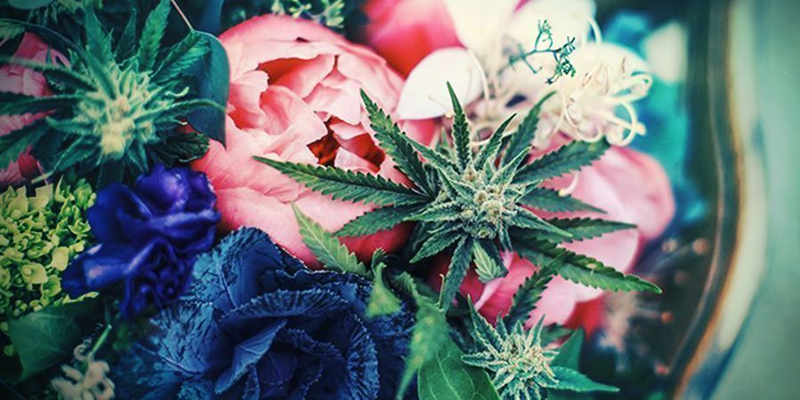 A rather novel way of disguising your cannabis is to pin the flowers of another plant to it. This way, should any casual onlooker see the plant, they probably won’t recognise it as cannabis. Sure, if they stop and take a harder look they may figure it out, but it can help stop people recognising it in passing. Also, bear in mind that pinned flowers will likely wilt and die after a couple of days, so you will need a constant supply from your garden. Another great way of hiding cannabis is by growing it amongst other similar looking plants, or tall plants. You can even grow them under a tree canopy or in a thicket of bushes. Just remember that cannabis needs direct sunlight, so don’t completely cover it up! If you plan to grow in a thicket, a great idea can be to carve a small and discreet path into its centre, then hollow the centre out for a grow. This way you have a ring of obstructing bush around your entire plot. If it is a particularly dense thicket, then none will be able to see into the middle, and hopefully no one will notice the small path into it – you could even take measures to block and hide the path. One of the most common reasons for cannabis grows being raided or stolen is because the cultivator has told someone about it. The best thing to do is never tell anyone where your grow is, or even better yet, that you are growing. Sure, you may trust your friends to not rat on you, but do you trust them not to tell their girlfriend/boyfriend? Things can quickly get out of hand as word spreads around. If you don’t tell anyone, then there should be no problem. Because let’s face it, as tempting as it is to brag, the stash is for you at the end of the day, so why even the need to tell others? With these simple points, you can go a long way to ensuring your personal outdoor hobby grow remains that – personal, private and hidden. Play safe and play smart.